After my sojourn in the woods, I made my way via Megabus to New York to spend time with my brother and connect with a few old friends along the way. 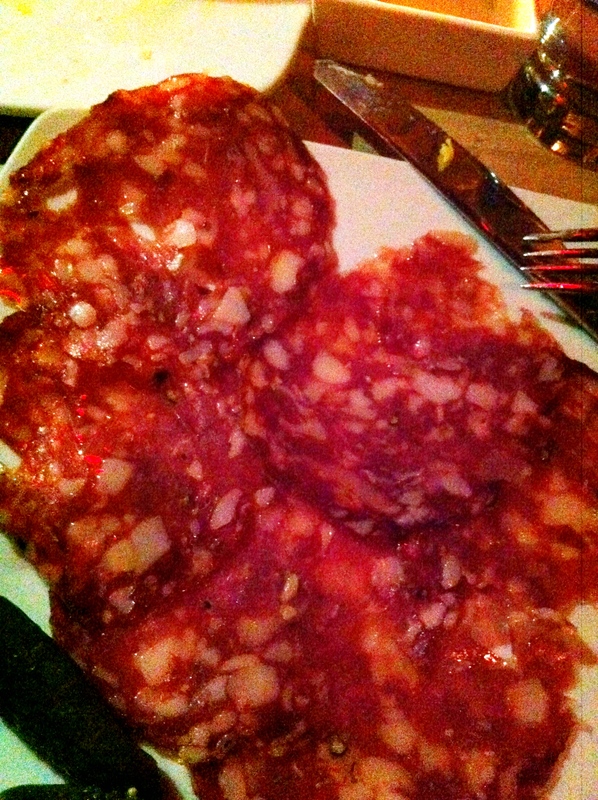 Although my brother is a staunch Manhattan loyal, we spent a surprising amount of time in Brooklyn, and my first meal there, in a cleverly-named wine bar in Park Slope, Brookvin, was a hearty parade of cheeses, meats and appealingly fresh and rustic shared dishes. After just barely seizing the last table in the place (another not to open up for 2 hours! 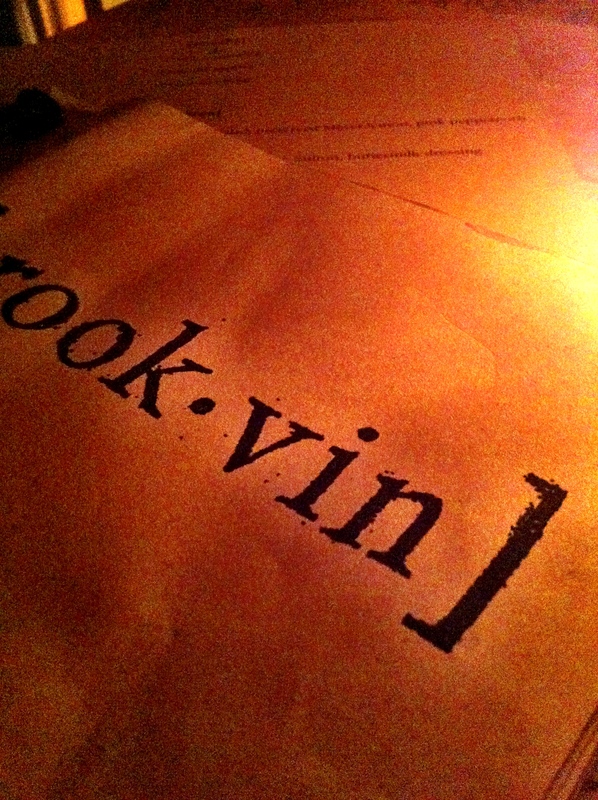 ), we ordered a red (for me) and a deep purple rosé (for my brother), and greedily scanned the menu. After polishing off the satisfyingly stinky appetizers, Dane and I plowed through a plate of roasted cauliflower, guanciale, celery, thyme, caper berries, egg, and whole seed mustard. I’ve never seen an egg so perfectly cooked (and considering it’s Brooklyn, I imagine that said egg came from an urban chicken coop down the street), and the subtleness of the roasted cauliflower was perfectly enhanced with the explosive flavor of the caper berries (imagine capers blown up to about 5 times their normal size) and the guanciale—chunks of thick Italian bacon (probably also cured in house). 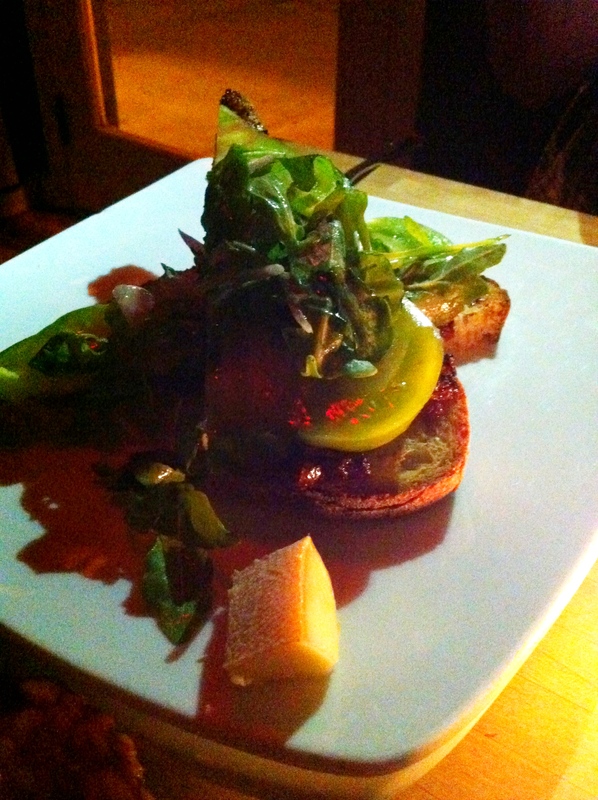 A meticulously layered tartine followed with a perfect combination of bacon jam, heirloom tomato, arugula, and shallot. A simple dish, the tartine was a celebration of the outrageously ripe, sweet heirloom tomatoes and the peppery small-leafed arugula. And not to fear: we weren’t exactly going dry during this meal—the array of reds and rosés scattered over our table was quite impressive. 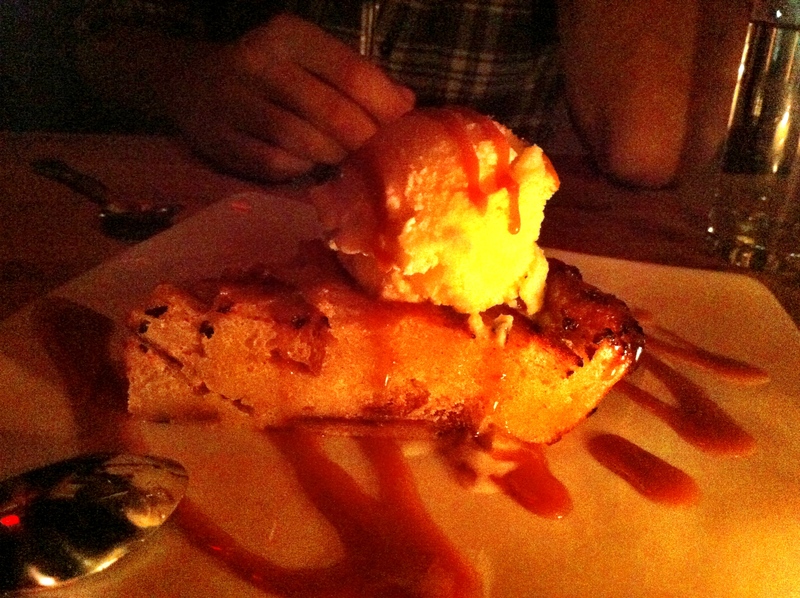 To end the night with a bit of sweet, we shared the sourdough bread pudding with whiskey ice cream and bacon caramel sauce. I’m not sure I have the words to describe this dessert, only to say that although the whole thing sounds a bit too hipster-reinvents-ubiquitous-British-dessert and borders on the popular meme, “bacon goes with everything,” the dish was really extraordinarily yummy. After some much needed sleep, I actually returned to Brooklyn the next day to explore Williamsburg with a dear friend of mine. Although we made a less-than-inspired choice for our lunch, the Van Leeuwen Ice Artisan Ice Cream Truck parked outside more than made up for it. 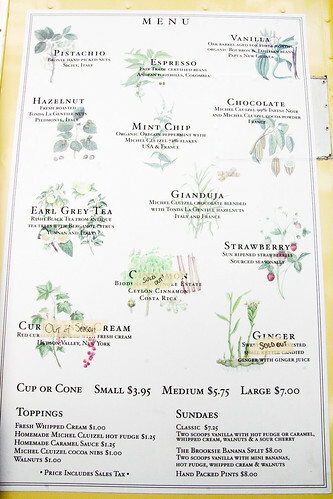 Van Leeuwen offers an assortment of luscious ice creams that are uncomplicated, yet sinfully delicious odes to real flavors like ginger and vanilla. If you spot a truck, I’d suggest the espresso, but I can’t wait to try the Earl Grey…I’m more of a tea drinker in real life anyway. After parting, I made my way to a Midtown bar to meet up with Dane and a friend of his. We had discussed making the evening into a food crawl of sorts, with various stops to get a broader swath of cuisines under our belt. It didn’t work out exactly as we had hoped (the Japanese restaurant had a wait of over an hour), but we managed to chow down on Mexican, American and French food, and imbibed beer, margaritas, gin & tonics, and wine all in the course of about 4 hours. Not too shabby. 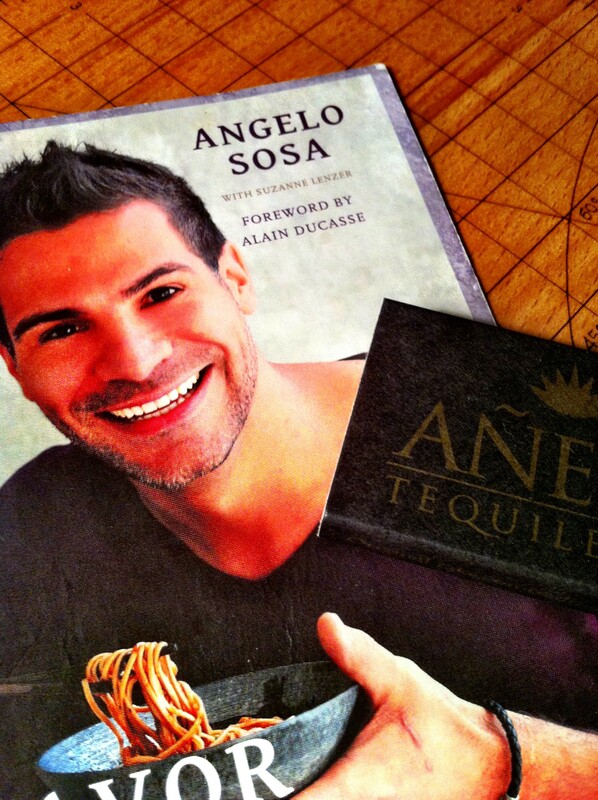 My one real Persnickety-worthy tidbit of the evening was our brief visit to the bar of Angelo Sosa’s new venture, Añejo Tequileria. 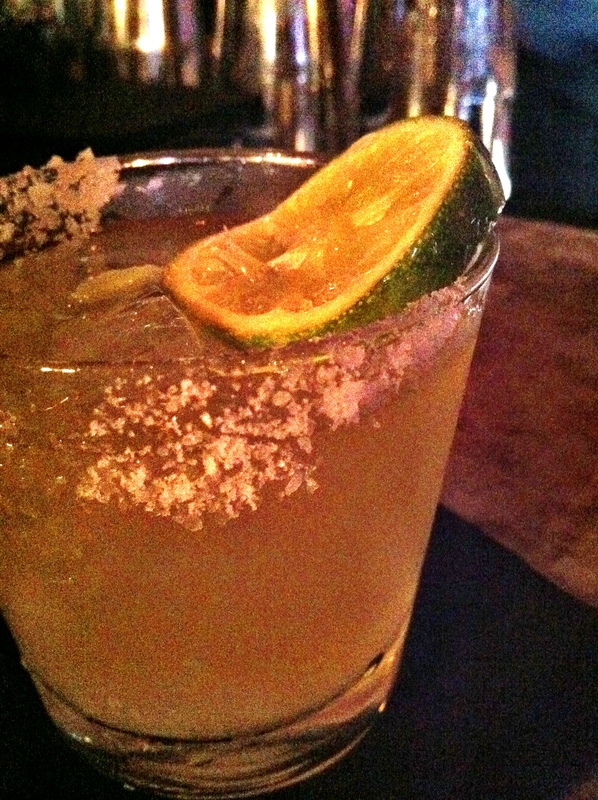 A margarita (sweetened with agave) quickly in hand, my dining companions ordered fresh guacamole. Alas, the corn chip was the only available accompaniment. When I explained the problem to the bartender, however, he shocked me with his response: “Don’t worry, we’re gonna send someone out to get some tortillas for you.” Mind you, the place was packed, business was booming, and I was just one small fry in a sea of voracious corn chip eaters. But they took the time to venture out to a bodega and pick me up something I could eat. But, wait for it! I’m not done. Not only did they go fetch flour tortillas, they also plunked them into the deep fryer and generously salted them, until the tortillas transformed into evilly greasy, crispy heaven that I used to scoop out fresh, limey guacamole to my heart’s content. We tipped well, to say the least. While naively waiting for our table at the Japanese place, we downed some G&T’s at a divey bar just off Times Square, and wandered around a laughably overpriced clothing store. However, once it was clear that we would not be having sushi that night, we made a dash to a nearby theatre bar where we could relax in the quiet and enjoy some piping hot truffle mac & cheese and some lovely calamari with a chipotle sauce. Nothing too crazy, but it was yummy and filled our bellies! 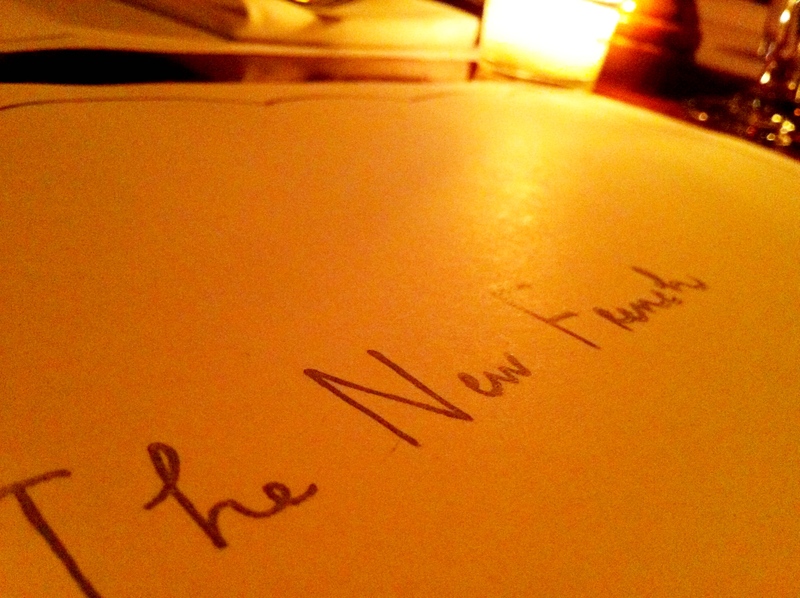 Our last stop of the evening was a charming French restaurant down in the West Village—The New French. 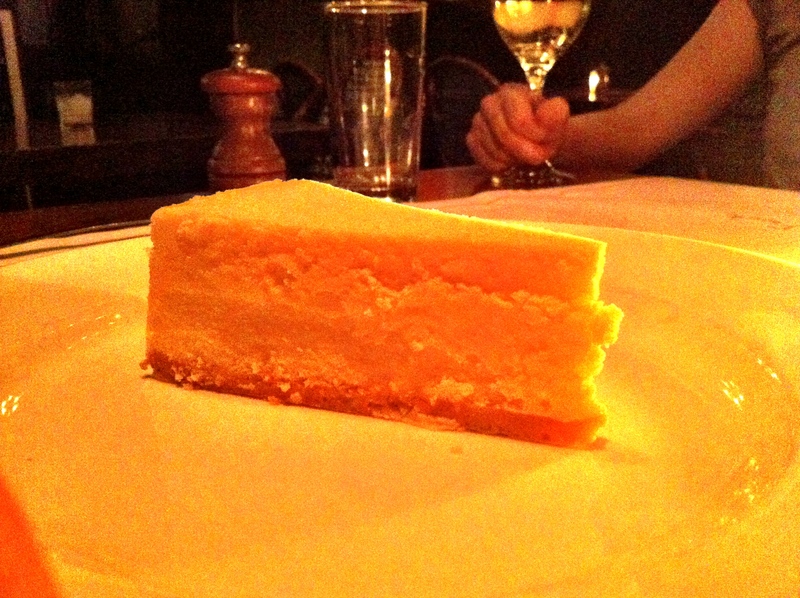 Although Dane promptly ordered a burger (rare) with frites, I was ready for dessert and ordered cheesecake. Already past 11, the kitchen was winding down, and the food came out at random times, as did the drinks. 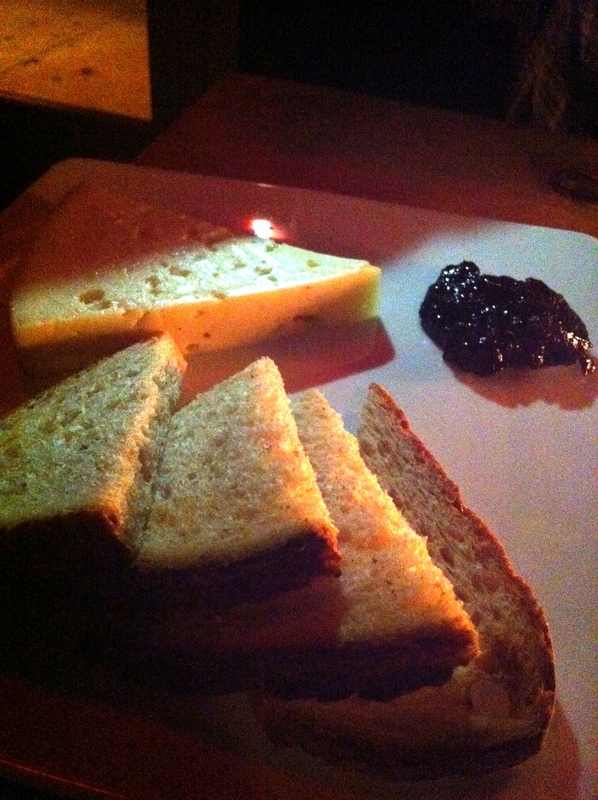 I was served my painstakingly sliced and severely unadorned (not even a slice of strawberry!) cheesecake first with a glass of sparkling rosé. It was really appealing, despite its simplicity. The relaxed, almost lazy, mood of the open-air bistro was just right for winding down. And a fat mug of decaf coffee capped off the culinary (and alcoholic) crawl that was our Friday night in NYC. 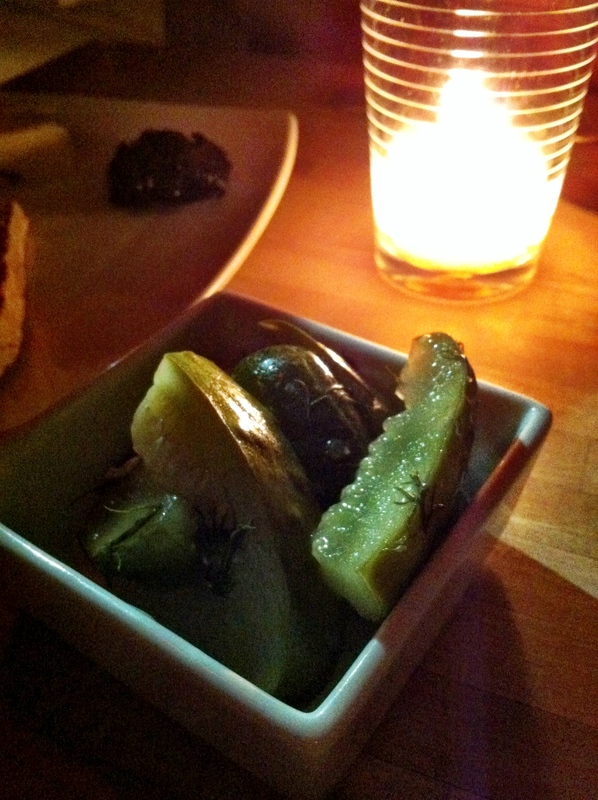 Come back soon for the final Vacation Series Post…a trip to the farm!